Get an instant quote and book your transfer to Bad Kleinkirchheim from Salzburg Airport. 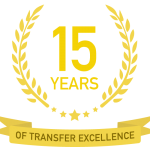 Remember to use your loyalty points for a discount on your next transfer! Getting an airport transfer to Bad Kleinkirchheim could not be more simple with Ski-Lifts. You will have peace of mind that your driver will be waiting for you the moment you step off the plane, ready to take you to Bad Kleinkirchheim. Ski-Lifts offer a wide range of transfers to suit all budgets, to Bad Kleinkirchheim and many other ski resorts in Switzerland. 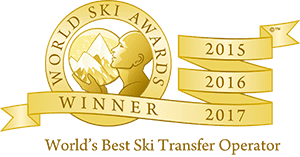 Get an instant quote and book your private transfer to Bad Kleinkirchheim. You can book a transfer to Bad Kleinkirchheim from Salzburg Airport. The normal transfer time from Salzburg Airport is just over 2 hours, but transfers can take longer at peak times. – For your return journey, we will send you a text message the afternoon before you are due to depart confirming your exact pickup time from your accommodation for your transfer from Bad Kleinkirchheim to the airport. With over 100km of downhill runs, 27 lifts, and 800 snow cannons that guarantee snow on 97% of the pistes, Bad Kleinkirchheimis’s facilities are already at the cutting edge. Bad Kleinkirchheim also happens to be the home of the fastest living skier in the world, the legendary Franz Klammer. He’s around quite often, so much so that the World Cup racing course there is named after him, and is known to go skiing with guests on early morning winter runs to point out his favourite runs. Experts will enjoy the resort’s demanding pistes such as the K 70 FIS run which includes a tricky jump and a steep bottom section. That doesn’t mean beginners and intermediates are left out. Wide, sunny meadows by the village offer beginners plenty of approachable runs. Intermediates skiers can choose from 25 red runs across both mountain areas. Cross-country skiers can take their pick from a variety of routes at different altitudes ranging from 1,100m to 1,900m above sea level, including the Nockalm-Panorama-Run which is especially known for its fantastic views of the snowy mountain area. Who is Bad Kleinkirchheim Suitable For? Bad Kleinkirchheim was a destination for ‘wellness’ before ‘wellness’ was even a word. Its thermal spas and bathing culture offer a therapeutic atmosphere few other winter destinations can match. It also offers a range of lively après-ski spots, excellent food, and solid ski-schools for kids and adults. Bad Kleinkirchheim offers over 23 bars to grab a drink and relax. Enjoy live music, shows, and more throughout the week. Five Dancing Club is open until 4am, while The Brechlstube offers live accordion music on Mondays. You’ve also got to eat too—and Bad Kleinkircheim offers a range of joints from quick-bite cafes to fancy restaurants crowned with stars to satisfy every one of your cravings. Whether you want to bask in grand luxury or enjoy more more intimate surroundings, two 5-star hotels & fifteen 4-star hotels join a range of holiday apartments and bed & breakfast guesthouses to accommodate your stay at Bad Kleinkirchheim. Don’t forget to check out the spa temples, which are known to be some of the best in the world (the village’s own slogan is ‘from the pistes into the spas’). Bad Kleinkirchheim’s 4 ski schools offer well-structured courses for children and special packages for adults looking to get back into the game. Classes are offered in group and private formats. Book your ski hire in Bad Kleinkirchheim. Bad Kleinkirchheim offers over 23 bars to grab a drink and relax. Enjoy live music, shows, and more throughout the week. Five Dancing Club is open until 4am, while The Brechlstube offers live accordion music on Mondays. You’ve also got to eat too—and Bad Kleinkirchheim offers a range of joints from quick-bite cafes to fancy restaurants crowned with stars to satisfy every one of your cravings.